We make organising meetings simple with our full service packages through easy online bookings or your personal event coordinator. 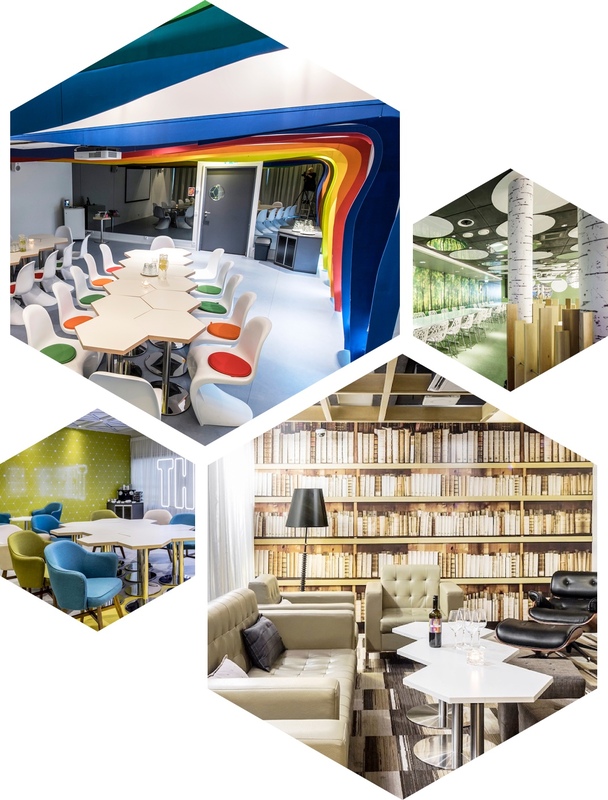 Great new concept - They have changed the boring "conference room" into a thriving "creative room"
Finland is fertile ground for a concept like HUONE. But our success doesn’t stop there, as we’ve grown to offer our unique brand of event and meeting spaces all around the world. You’ll now find HUONE venues as far afield as Singapore. Worry not, because each space is still deliberately designed and offers the same human touch you’ve come to expect from us. Finland is the hot spot in the Nordics for startups and video game development. Home to HUONE, Finland is known for its thoughtful design and technology, making it a hub of innovation. The centre of Asian commerce, this city-state offers great connections, opportunities, and of course one of HUONE’s premier venues for all your meeting and conference needs. HUONE Kastrup, just minutes away from Copenhagen Airport. Splendid connections from the city center and just across the bridge from Malmö, Sweden. We’re an opportunity to do something different. By throwing out the old idea of what a meeting can be, we’re changing how our guests expect business to work. Well planned and scheduled activities, exquisite food and beverages, programs to entertain or train, combined with deliberately designed rooms mean you can get down to business. We’re a place to create, innovate, disrupt and make the world better. If you need a fresh and inspiring meeting venue, this is the place for you! Super friendly staff, flexes to the needs of customers. Chosen as the best venue for sub 1000 attendee events is Finland for a reason! A lot has happened and we've learned so much. But we will never stop disrupting, innovating and challenging the old boys of the meeting scene. Excellent place to hold a workshop or event. Good venue, great service, nice food! Much better than most experiences I've had at hotels or conference centres.